German discounters Aldi and Lidl continue to expand their reach in the UK at the expense of the so-called “big four” chains, with Aldi increasing its market share by more than a third. Tesco, Asda, Sainsbury's and Morrisons have all experienced a decline in sales, though Asda has proved the most resilient and Morrisons has been hit the hardest. Our research shows that British shoppers’ view of these brands over the past year mirrors the latest market share figures. According to BrandIndex, which tracks perception of brands, all of the big four are in a worse position today than they were at the beginning of last year, apart from Asda, which has held steady. Meanwhile, Aldi’s overall Index score (a composite of six key measures of brand health) has risen a whopping 10 points over the same period, and Lidl is up six points. 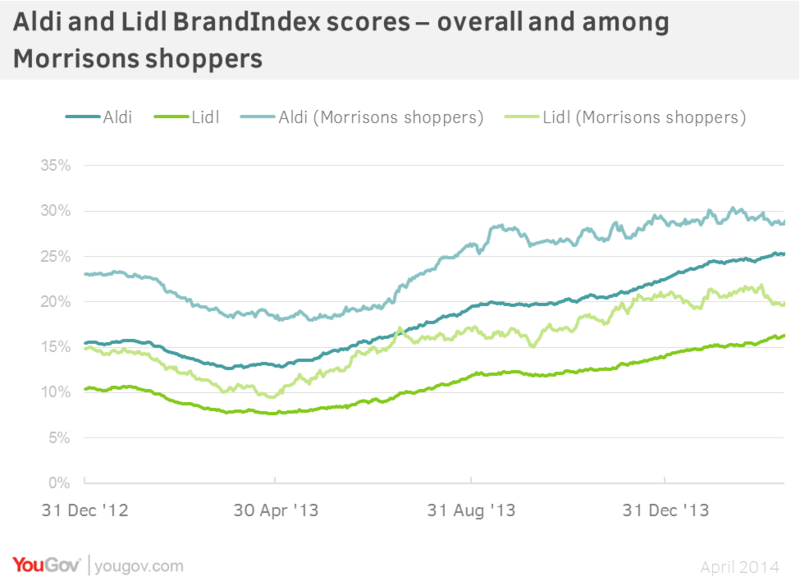 Both Aldi’s and Lidl’s Index scores are four points higher among Morrisons shoppers than the general population, leaving little ambiguity as to who is benefiting from the shop’s decline. Morrisons shoppers are also more likely to say that Aldi and Lidl offer good value than are other consumers. Waitrose has also had strong sales growth, which BrandIndex indicates could be powered by Sainsbury’s shoppers who view the brand considerably more positively than others. 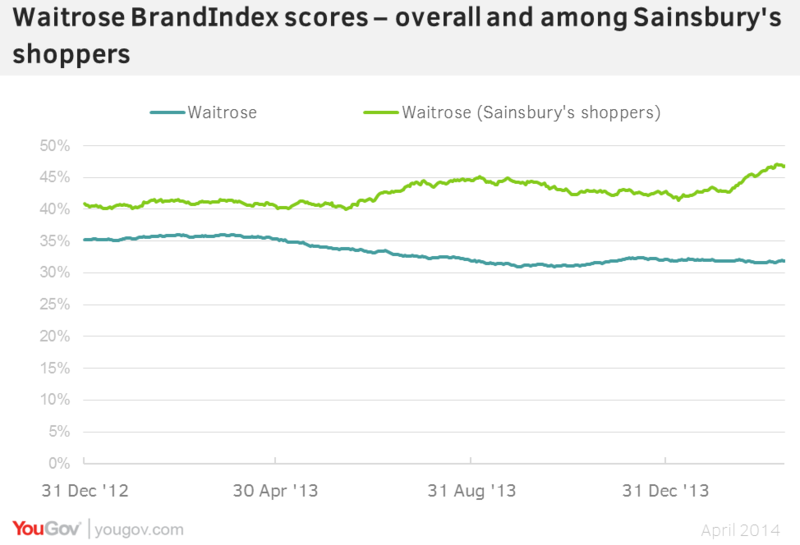 Waitrose has an Index score of 32 nationally, which rises to 47 when we filter for those who mostly shop at Sainsbury’s. With growth for the overall grocery market slowing to 0.6 per cent, its lowest level since June, the fight for shoppers is fiercer than ever. For brands like Morrisons and Sainsbury’s, it’s crucial they understand who among their customers are heading elsewhere, and what they must do to get them back.